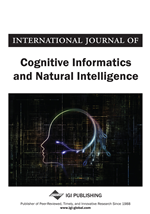 This article describes a qualitative cognitive analysis and modeling tool (QCAM) for biological data collected using sensors such as a simple brain-wave sensor, while executing an actual task. However, these types of sensors are generally less accurate than devices designed for medical use. Sensors may be influenced by noise or personal differences between subjects. A qualitative approach is very effective for analyzing such data, because the authors can understand their essential features by focusing on qualitative changes, such as increasing, decreasing, and steady changes in the data, without quantifying it. Therefore, in addition to statistical analysis, QCAM provides qualitative analysis and modeling of data and allows us to verify the model by using qualitative reasoning. This article explains QCAM and describes experimental results obtained by using real driving data, a combination of movie data from a camera, acceleration data from a smart phone, and brain-wave data from a simple brain-wave sensor, that was obtained while a person drove a vehicle. Figure 1 shows QCAM’s flow and software libraries. QCAM was entirely implemented using the Java programming language. Its input is movie and sensor-data files. As “Visualization,” QCAM can provide a graph of each sensor’s data while playing a movie of recorded experimental situations. Thus, we can easily understand how each sensor data changes in each situation.